Ketosis has been portrayed as taboo by many health professionals and declared an unhealthy and even toxic metabolic state. In fact, you may have even heard from your doctor or health advisor that ketosis is a life-threatening condition. 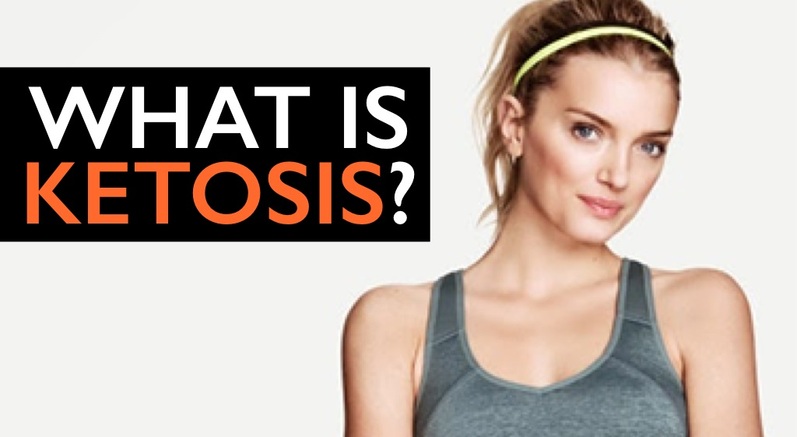 However, a great part of this misconception may be due to the fact that many often confuse ketosis with ketoacidosis. First, to clear up some of this confusion, ketoacidosis is a severely dangerous metabolic condition commonly experienced by uncontrolled type I diabetes. In ketoacidosis, the bloodstream is flooded with extremely high levels of glucose (blood sugar) and ketones. In this state, the blood becomes very acidic, which is seriously harmful and can turn fatal if left untreated. Ketosis, on the other hand, is a vital process passed on to us through evolution. You see, our brain can only function with glucose and ketones. However, since we can’t store more than about 24 hours’ worth of glucose, we would all literally die of hypoglycemia if ever forced to fast for more than a day. Fortunately, our liver can take fatty acids and select amino acids (the building blocks of proteins) and turn them into ketones, primarily to feed our brains. Hence, our body’s ability to produce ketones is required for our basic survival. Therefore, ketosis is a completely natural, healthy, metabolic state. It involves the body producing ketone bodies out of fat, and using it for energy in times when the body’s stored glycogen level (sugar) is low. So, again, although ketosis may be viewed by many health advocates as a highly unhealthy condition, in this piece I will unravel some of the misconception behind it along with how it may actually benefit you. Ketosis is a metabolic state in which fat provides nearly all of the fuel for the body’s energy demands due to its limited access to glucose or (blood sugar). But Your Brain Needs Carbs Right? Because of this evolutionary advantage that I outlined earlier it’s a common misconception that the brain cannot function without carbohydrates. While it’s true that glucose is the preferred fuel for the brain, that doesn’t mean we have to consume carbohydrates to get it. When we are in a state of ketosis these ketone bodies are perfectly capable of crossing the blood-brain barrier to provide energy for the brain. Equally, our body also has the cunning ability to convert certain amino acids and fatty acids into glucose through a process called gluconeogenesis (gluco = sugar) (neo = new) (genesis = creation) supplying the brain with all the energy it needs to run efficiently. Therefore, ketosis and gluconeogenesis are perfectly capable of fulfilling all of the brain’s energy demands. Parkinson’s disease – Parkinsonism refers to all clinical states characterized by tremor, muscle rigidity, slowed movement (bradykinesia) and often postural instability. Ketones may bypass the defect associated in Parkinson disease (PD) and alleviate some or all of these symptoms. Dating as far back as the early 1920s, the ketogenic diet was introduced as a means for treatment for epilepsy when drug treatment was fairly scarce. But, with the advancement of pharmaceuticals and a rising popularity of drug treatments, the ketogenic diet lost its previous status and was used in only a handful of clinics for most of the 20th century. How Can One Achieve A State Of Ketosis? When consuming a diet very low in carbohydrates the body’s production of insulin drops forcing the release of fatty acids from the body fat stores in large amounts. Many of these fatty acids are then transferred to the liver, where they are oxidized and turned into ketone bodies, providing an efficient energy supply for the body. Generally it will take anywhere from 3 to 7 days to achieve a state of ketosis, depending on your body type, activity levels, and of course what you’re eating. The fastest way to get into ketosis is to exercise on an empty stomach, restrict your carbohydrate intake to 20g or less per day, and be vigilant with your water intake. How Do You Know If You Are In Ketosis? The most common way to know you’re in ketosis is to use ketostix which can usually be picked up right at your local pharmacy. Ketostix measure the amount of acetone in your urine, which are mostly unused ketones. This measuring stick will give you an idea as to how far you’re in ketosis by a simple color change registered directly on the stick. Any pink or purple on the stick shows that ketones are being produced in your body. Darker colors mean that your ketone levels are more concentrated in your urine indicating a higher state of ketosis. Does Ketosis Have Any Negative Side Effects? Although ketosis seems to be a perfectly safe and healthy metabolic state for the majority, there are a few potential side affects some may experience when being in ketosis. However, most of the symptoms are temporary and in nearly all cases disappear within a few days to a week. People who are taking medication to lower blood sugar levels should consult their physician before trying a ketogenic diet, due to the fact that the diet may reduce the need for medication. However, ketosis is generally a safe and effective way to lose weight and change body composition for healthy people. If you are going to try a ketogenic diet know that the rewards can be unbelievable, nevertheless, it takes extreme discipline. And whereas a majority of people will feel really good and full of energy while being in ketosis, others may feel downright miserable.